These few days, I have young couples coming to me seeking financial advice to grow their money at an investment horizon of 1 year. They looked back at me, with the tint of sympathy and a ray of hope, “We are going to get married soon. We need the money for our marriage which is coming in 9 months time”. They are shocked by my frankness. With heavy legs, they left me, still thinking deeply, hopeful for aura of opportunity to come for them to accumulate and grow their money fast. I am glad also that I have managed to convince a few others, young chaps like me, to start to save early. Let me give you myself as an example. I am 22 years old now. Planning to get married at age 28 years old. I can do 2 things. 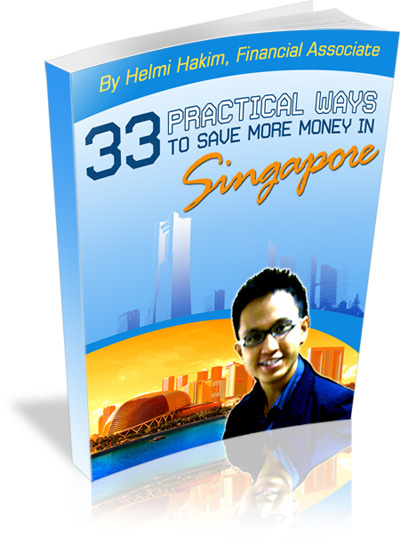 1) Start to save now. 2) Start to save later. In order for me to maximise my savings, and enjoy compounding returns, I have to start now. Now I save $10/day, $300 a month. By age 28, I can channel this money for my marriage. I am telling you because a lot of people are also in my shoes. You want to save for marriage. You want to save for that new car. You want to save for your child’s education. You want to save for your HDB house. You want to save for your retirement. Whatever your objectives for you to save, 1 thing remains clear. You have to start early. I have shared with hundreds and hundreds of my clients, the opportunity costs involved for starting later. You dont have to start much. Yet you have to start early. There are really lots of ways to save. ….and one way, is to engage financial associates like us, to advice you on financial vehicles that can maximise your savings potential and at the same time, meet your savings objectives. Malay Weddings: How Much Money You Need, To Get Married In Singapore? Ratin Saleha >>> I always tell my client this. You have 2 choices in life. When you save later, there will be lots of opportunity costs involved. The “cost of waiting” is simply ridiculous.